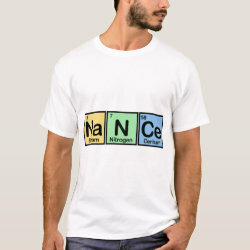 Nance made of Elements Maternity T-Shirt: This relaxed and casual maternity shirt creates a whole new kind of baby bump silhouette for the modern woman expecting a new arrival. Ruched sides provide a flexible and flattering fit for the glowing mommy-to-be. Check out other products with this design or view all .